Planning a wedding is hard and you probably have a million other things to do in preparation for your big day. However, your wedding rings are a symbol of your love for each other and will last forever, so choosing the right set is quite an important task. That's why we asked Emily Tebbutt, Jewellery Commercial Manager at Ramsdens Jewellery, to share her tips on choosing the perfect wedding rings for you and your partner. Before shopping for the perfect wedding rings, it's important to have two things organised: ring size and budget. Recent years have seen a rise in the social media engagement ring selfie, with over 3.5 million #engagementring hashtags used on Instagram. A national antique silverware and jewellery outlet has revealed the cities of the UK that spend the most and least on engagement rings. Its research shows that unsurprisingly those in London spend the most, with an average spend of £8,000, and Burnley spends the least, with an average spend of just £347 per engagement ring. A national antique silverware and jewellery outlet has revealed which cities of the UK spend the most and least on engagement rings. It may come as a surprise to find that one of the most romantic jewellery purchases in your life loses its monetary value instantly. Yes, in the vast majority of cases engagement rings don’t hold their value. If you were to purchase an engagement ring in a shopping centre from a household named jewellers at around the £1000 mark, it is likely to be worth next to nothing after you’ve swiped your credit card - well, perhaps around £30. Buying your wedding jewellery well is important if you don’t want it to depreciate in value faster than you can say ‘I do’. Getting engaged and getting married are often the most romantic moments in our lives. However, people don't know if they are wearing ethical rings as they are not aware that the creation of beautiful rings can be synonymous with human rights abuses and environmental damage. Here, ethical jeweller Tim Ingle reveals the truth behind the diamond trade, and the five questions we should all ask before purchasing a wedding or engagement ring to make sure it’s ethical. 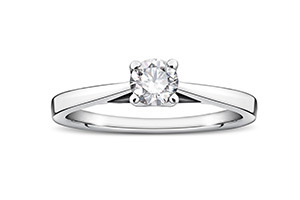 All I want for Christmas…is a DIAMOND RING. Four in ten British women are secretly expecting a Christmas proposal …but don’t hide it in the turkey! A survey of 2,000 Brits by jewellers, Beaverbrooks, revealed that almost half of the nation’s women are DESPERATE for their other half to pop the question on December 25, with one in five admitting they would be ‘very upset’ if they didn’t receive a marriage proposal on the day. One in ten went as far as to say they would need to have a serious discussion about their future if they didn’t receive the diamond ring they were hoping for, and a dramatic 5 per cent would even consider ending their relationship. In 2016 the average value of celebrity engagement rings in reached almost £1 million but have since dropped to £100,000, the results of a new report have shown. The 2018 Celebrity Engagement Ring Audit, undertaken by diamond specialists 77 Diamonds, examined 170 celebrity engagements from 2016 to the present day to see what trends could be uncovered. Key areas under consideration were the ring’s carat, colour, clarity, cut, metal, and style. The research also factored the net worths of the proposer and proposee, their professions and whether this was their first engagement or not. With the Royal Wedding just around the corner, Ripe Insurance have taken a look back at the gorgeous collection of Royal Engagement rings past and present. 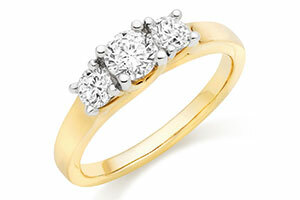 The average Carat of a royal engagement ring is 9.8 carat compared to the UK average of just 0.5 carat. With an estimated value of £150,000 to £400,000, Meghan’s ring is now the most expensive royal engagement ring in history, in comparison to the UK average cost of £1,040. One third of royal engagements happen abroad, most recently with Princess Eugenie getting engaged in Nicaragua. July is the most popular month for royal weddings with famous royal couples such as Charles and Diana opting for a summer wedding. WITH excitement building and wedding plans well and truly underway following the proposal, it’s now time to start thinking about the all-important wedding rings. Your wedding bands are a significant symbol of your love and commitment towards each other and choosing the right ones should be a special moment that you can both treasure forever. With another royal wedding on the horizon, jewellers across the country expect to see a surge in sales as women rush to recreate Meghan Markle’s engagement ring style. 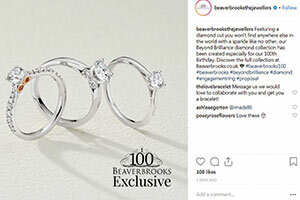 Adelle Thompson, head of buying at Beaverbrooks, explains how to get the look, as well as iconic engagement ring styles from Pippa Middleton and Kate Middleton.